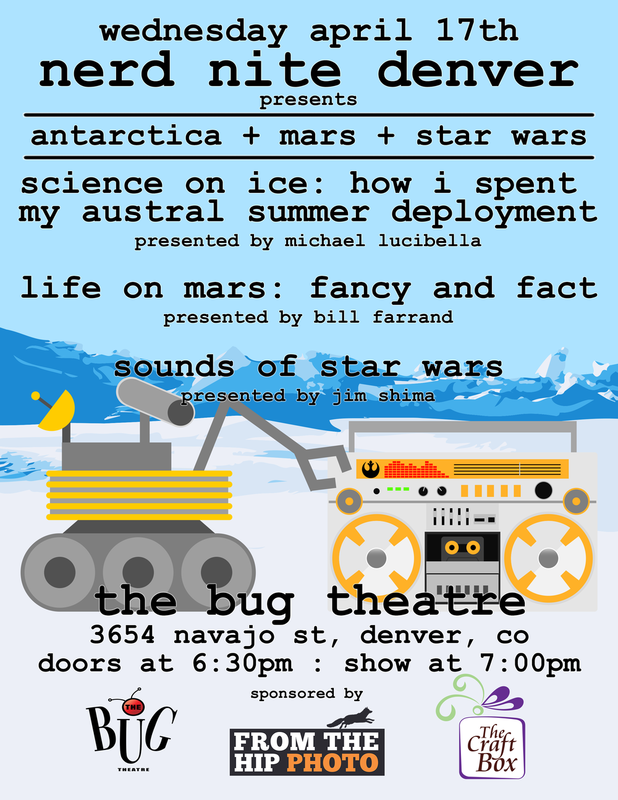 This month, Michael Lucibella is back with tales from Antarctica, Bill Farrand explains what's happening on Mars, and Jim Shima talks about the origins of Star Wars sound effects. 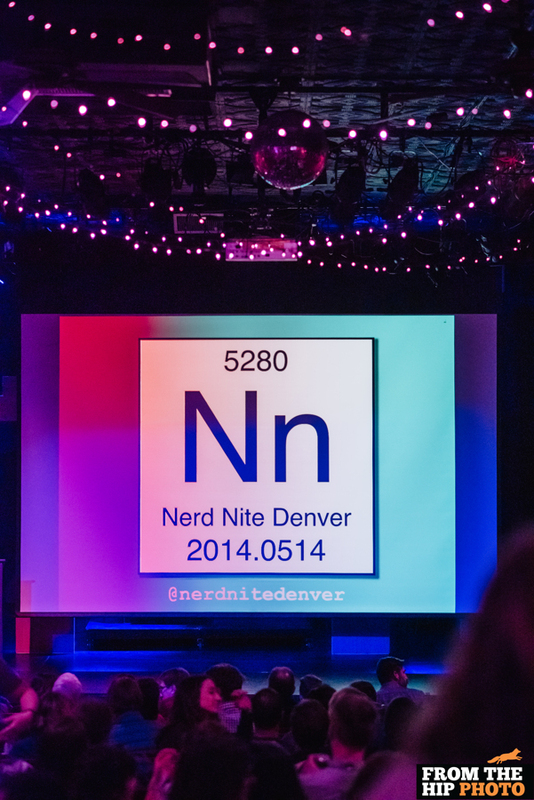 If you are a fan of TED talks, the Discovery Channel, Wikipedia binges, and drinking, Nerd Nite Denver is the show for you! Every year hundreds of researchers travel to Antarctica to study everything from astronomy to zoology. Learn firsthand about the latest science carried out at the bottom of the world from Mike Lucibella, the editor of The Antarctic Sun, the official newspaper of the U.S. Antarctic Program. As the staff journalist, photographer, and podcast producer for the program, he reports directly from the frozen continent for four months of the year on the wide range of research that's carried out at the bottom of the planet. With advent missions of robotic exploration on Mars, the ideas of advanced life forms on Mars have been discredited; however, evidence of extensive aqueous activity early in Mars geologic history has been confirmed. Senior research scientist Dr. Bill Farrand of the Space Institute will describe some of this evidence and whether it constitutes a habitable environment for microbial life to exist in the Martian subsurface. 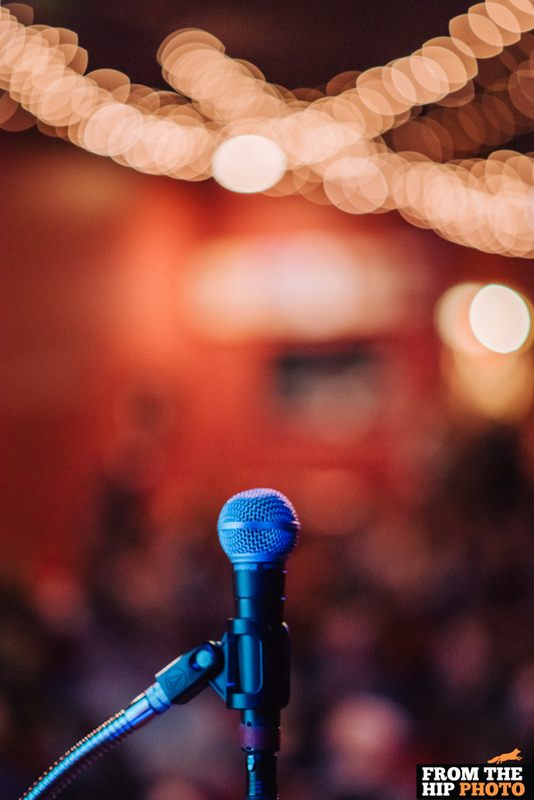 From droids to ships, learn about how the familiar sounds of Star Wars were made with Jim Shima of Hyperdyne Labs and member of the Corellian Droidworks Colorado chapter. 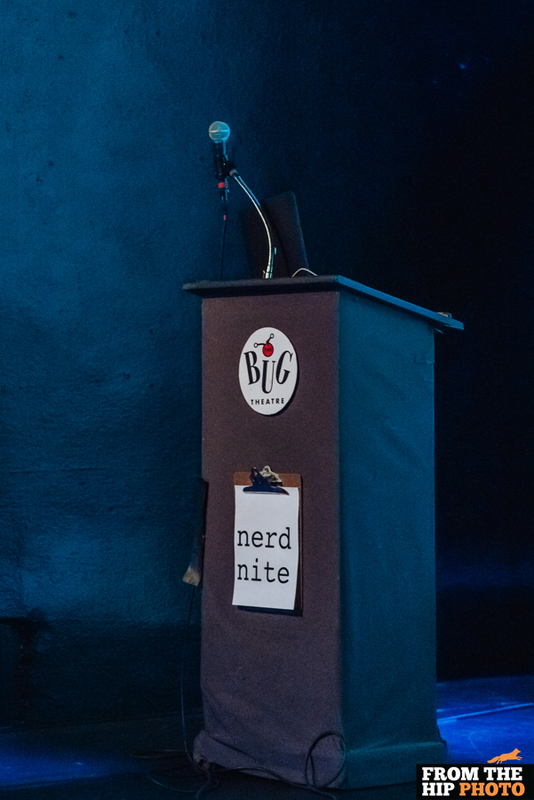 As always, a huge thanks to our photography partners From the Hip Photo, our crafty friends at The Craft Box, and the best venue in Denver, The Bug Theatre!